What's New at Jefferson Patterson Park & Museum? Everybody does it – don’t deny it! Each one of us has a bit of the old collector urge in them. I collect nineteenth- and twentieth-century yellow ware and, if pressed to admit it, those colorful advertising magnets that businesses give away. 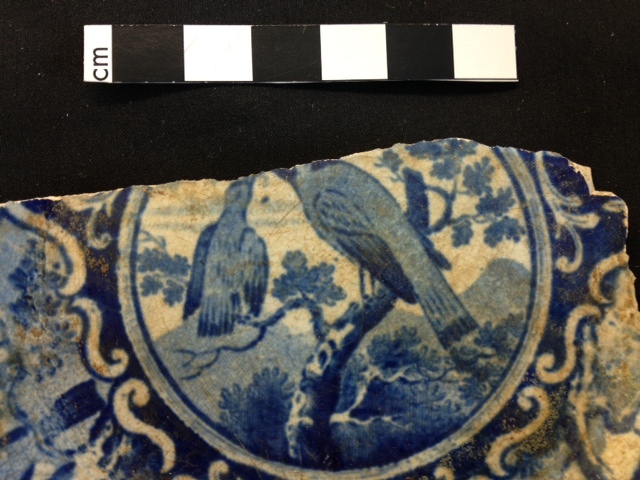 I polled some of the staff here at JPPM about their collections–answers I got included purses, Japanese ceramics, dragons (not live ones! ), Lenox princess figurines, stamps, and Harry Potter Legos. 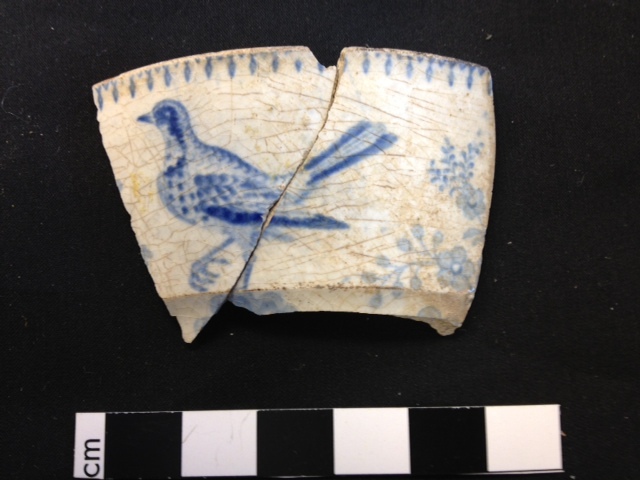 So, I was not overly surprised when poking through the Baltimore collections here at the lab to find evidence of another collector—this one from the mid-nineteenth century. 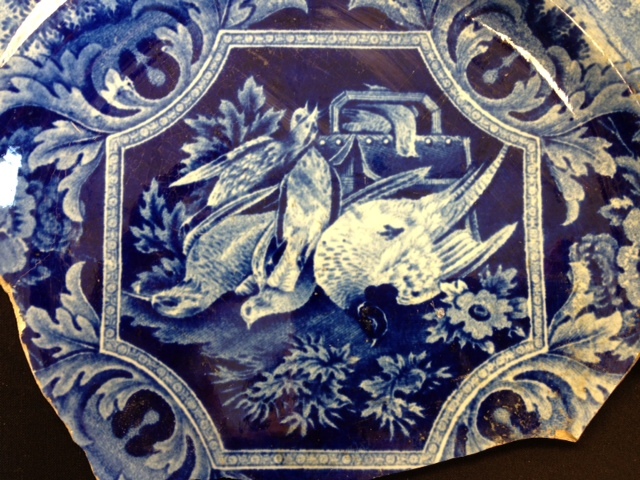 Included among the typical edged ware platters and printed romantic scenes on plates from this privy pit was evidence of a bird lover. 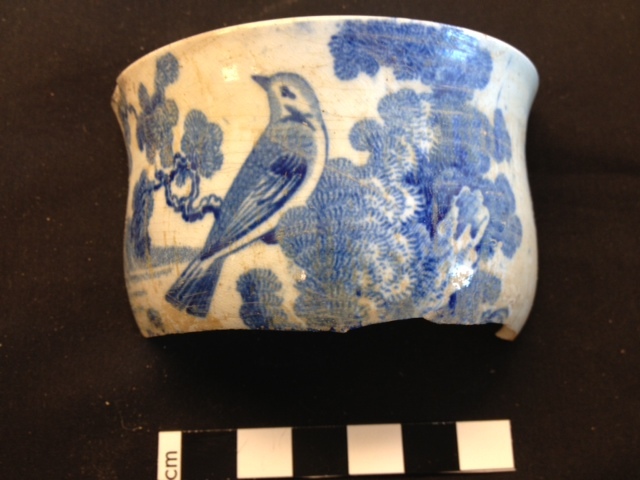 The assemblage contained at least eight vessels—cups, plates and saucers—in four different printed patterns depicting songbirds in their natural habitat. There were also several vessels that showed a brace of game birds, probably bound for the dinner table. 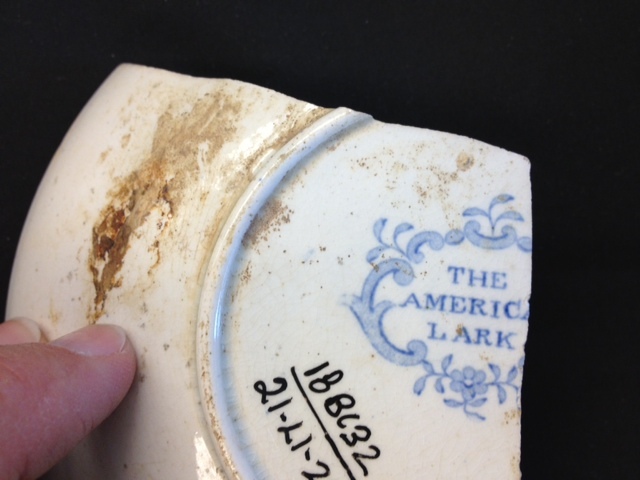 Only one vessel was marked with the name of the printed pattern “The American Lark”, but there was nothing to provide a clue about which factory produced it. 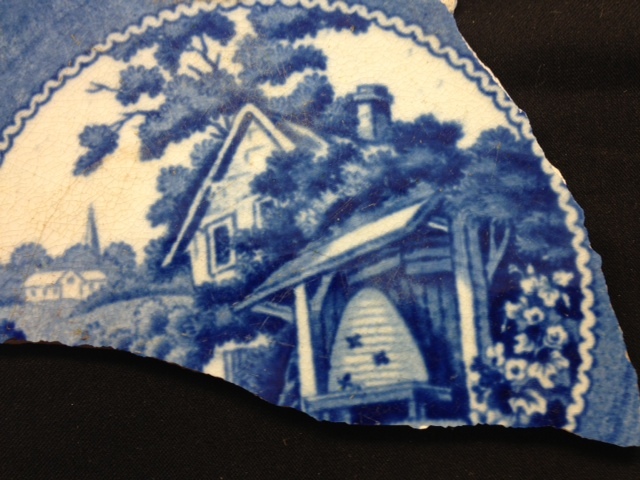 The negative color printing on the game bird plate and the pastoral theme of the beehive saucer suggest a date range of the 1820s to the 1830s for the manufacture of these pieces. to go with a birds and bees theme!